The Independent National Electoral Commission (INEC) has decried the nonchalant attitude of Nigerians in the collection of Permanent Voters Cards (PVCs) saying the atittude was not in the best interest of the country for the 2019 election. The Resident Electoral Commissioner (REC) in Imo, Prof. Francis Ezeonu, made this known at a sensitisation meeting with stakeholders in Owerri Municipal and Owerri West Local Government Areas of Imo. He said that politics was a game of numbers which required citizens to arm themselves with their PVCs as ready tools to vote in credible candidates. He enjoined the people to go and collect their cards and take the election processes seriously. He cautioned politicians against collecting’ PVCs from voters and hoarding them only to bring them out during elections to cause confusion. He allayed the fears expressed by the people saying the national office is doing all possible to handle all the challenges, assuring that hijacking of ballot boxes was now a thing of the past. Speaking, the Electoral Officer of Owerri Municipal Council , Mr Andrew Ereforokuma,said that the commission had always believe there was the need to partner with the people inorder to have an acceptable election,. The Electoral Officer of Owerri West, Mrs Ebere Orji, said the town hall meeting provided stakeholders and the commission an avenue to create the needed synergy for achieving good result in 2019. 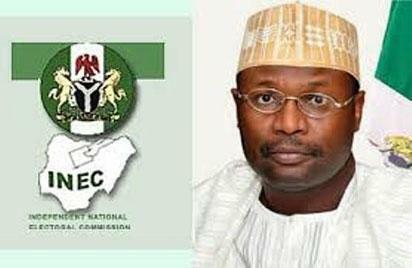 “INEC cannot achieve a free, fair and credible election alone. It has to work in collaboration with other stakeholders for its mission to be actualised. Orji said communities in the LG are faced with bad roads, collapsed bridges and swampy areas, which had hindered timely delivery of materials during the registration exercise. She said the LG currently has 34, 229 uncollected PVCs. NAN reports that the meeting comprised traditional rulers, the clergy, security personnels and stakeholders in the communities. The stateholders had complained about registration centers being far from the people, alleged under-aged registration in some parts of the country as well as appealled for creation of more polling units and wards. The post INEC decries nonchallant attitude to PVC collection appeared first on Vanguard News.